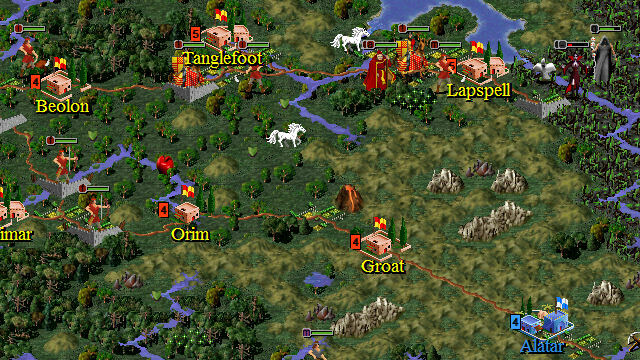 A scenario for Civilization II: Test of Time by Harris. 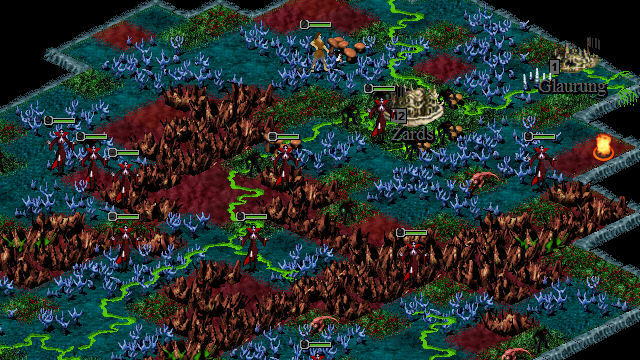 Under the leadership of the Necromancer (that fellow in the upper left-hand corner) an army of Vampyres invades the mythical World of Minaria. As sovereign of one of the three human nations of Minaria - Muetar, Immer, or Rombune - your task is to defend your kingdom and drive the invaders back to their homeworld. Leading an army into the Abyss and laying siege to the Vampyre stronghold of Zards before %STRING2, is the only way to achieve a Decisive Victory. In the early game, the human kingdoms have little defense against the deadly Vampyres. Learning the arcane arts of olde and exploration of the World of Minaria are the keys to survival. They will allow you to train units that can fight toe to toe with the worst of the Abyssal spawn. Powerful vampyres and undead legions are not the only weapons of the Necromancer has at his disposal. His dark wizardry also gives him the power to corrupt kings. Once a monarch has started down the dark path of corruption he is destine to become a minion of the Necromancer. Corrupt AI players are likely to ally with the Necromancer and turn on their Minarian brethren. A corrupted human player can take sides as he chooses, but can no longer win the scenario.